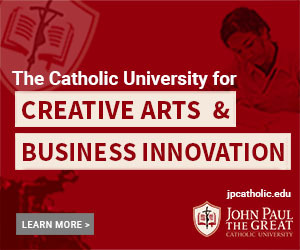 On the rise in the entertainment industry is an up-and-coming Catholic production company called For You, Joan, LLC. Founded by Daniel Rabourdin, a French immigrant and former host/producer of Theology of the Table at EWTN, its goal is to produce universally-appealing movies that powerfully yet subtly transmit important messages about our modern times. Its first production as an independent so far is the compelling docu-drama The Hidden Rebellion (2016). Winner of the Silver Remi Award at the Worldfest-Houston International Film Festival, it tells the story of a little-known but massive genocide of Catholics in the Vendee region of France during the post-Revolution Reign of Terror. Daniel generously took the time to speak to Impacting Culture about his experience bringing this important film to life. The historical story of The Hidden Rebellion has been on Daniel’s heart for a long time. “It was a topic that I knew from my childhood,” he explained. Having been strengthened in the knowledge of his Catholic faith from a young age despite the anti-religious attitudes of the schools he attended, he feels a particular calling to fight for religious freedom wherever it is oppressed. “[The story of the Vendee] is close to what is starting in America on so many college campuses,” he said in a tone of cautionary concern. 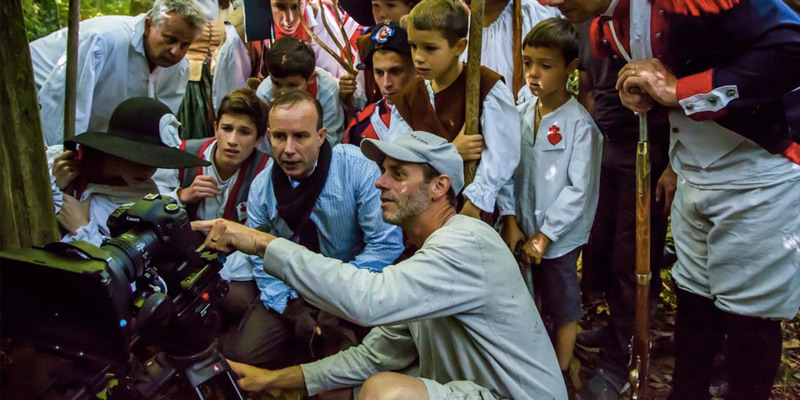 “Freedom of expression is taken away.” By cinematically conveying the historical plight of Catholics in the Vendee, he hopes to awaken the people of America to modern threats against religious liberty and inspire them to save their country from going the secular direction that France did after the French Revolution. There are three main points Daniel wants audiences to take away from The Hidden Rebellion, particularly in America. The first one is to “[be] aware of a clever ideology that is denying their vision, their own civilization.” Daniel believes this secular ideology has “acquired most of the young minds in America,” and he wants to offer an alternative. The second point is “to learn to stay serene and full of the Christian hope that at the end, the victory belongs to God and not to us.” Finally, he hopes audiences will receive a valuable lesson in some of the Church’s social teachings through the film. “Render unto Caesar’s what is Caesar’s, and to God’s what is God’s,” he affirms is one of the film’s crucial messages. The Hidden Rebellion is just the beginning for Daniel’s company. 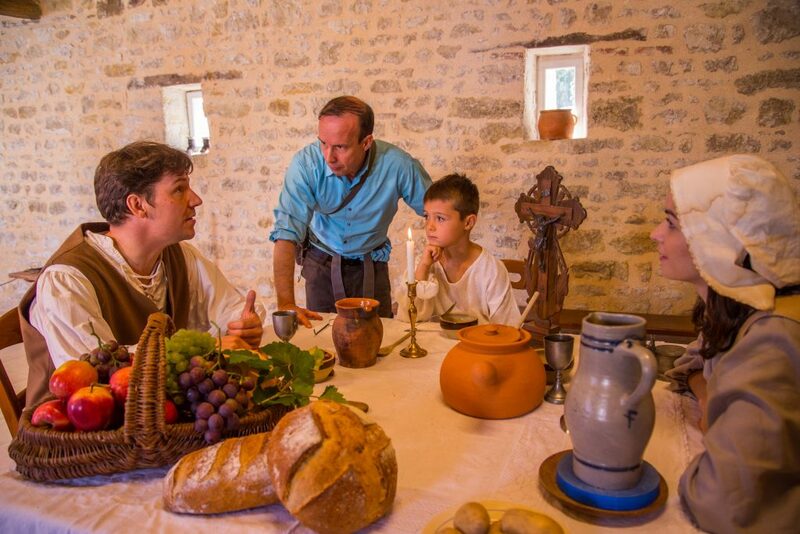 He would love to do a Hollywood-style narrative film version of the Vendee story one day, as well as a reality show about the art of the family meal. He is also currently employing graduates of JPCatholic as assistants and editors, and he is quite excited about all of the company’s projects to come. Watch out for a screening of The Hidden Rebellion coming to JPCatholic sometime soon. To ask for a screening of The Hidden Rebellion for your organization or parish, contact Daniel Rabourdin at hiddenrebellionmovie@gmail.com. To find out more about the film, visit the website here. 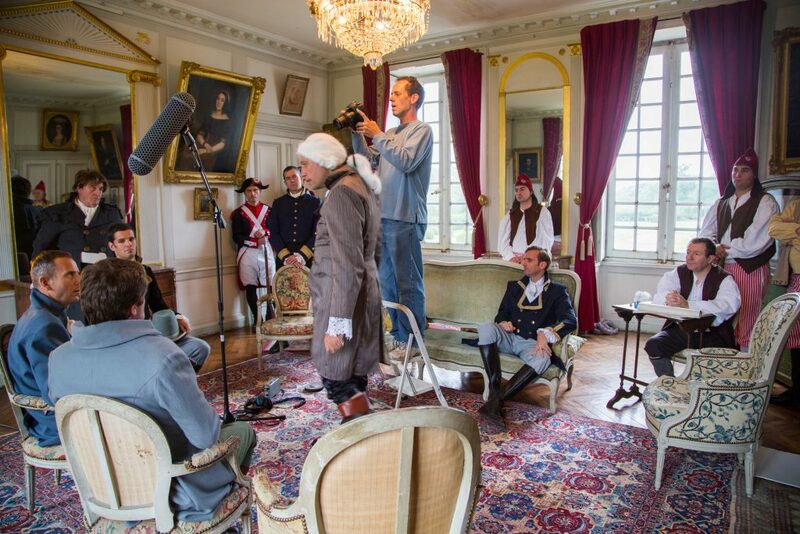 Filming a scene featuring the Reign of Terror leader Robespierre. Daniel directs a family dinner scene. 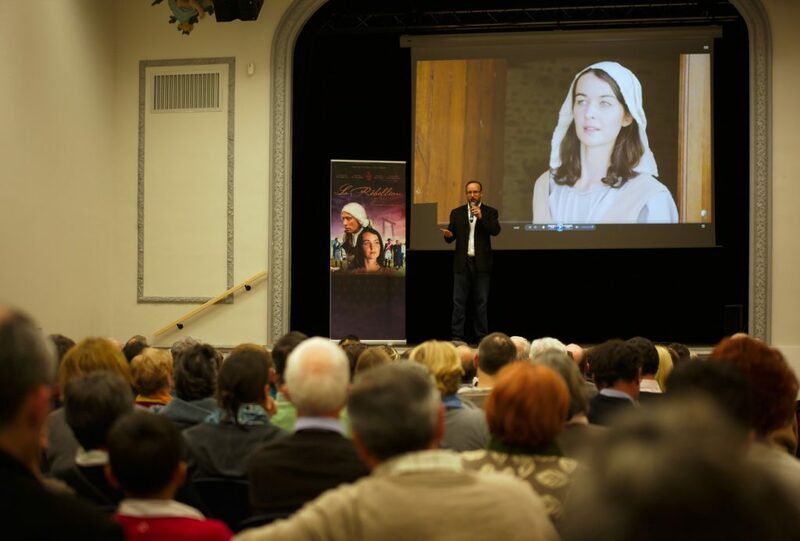 Premiere of the film in France.